Other beans are fine but, for a change, sample the mild flavor of fava, or broad, beans. 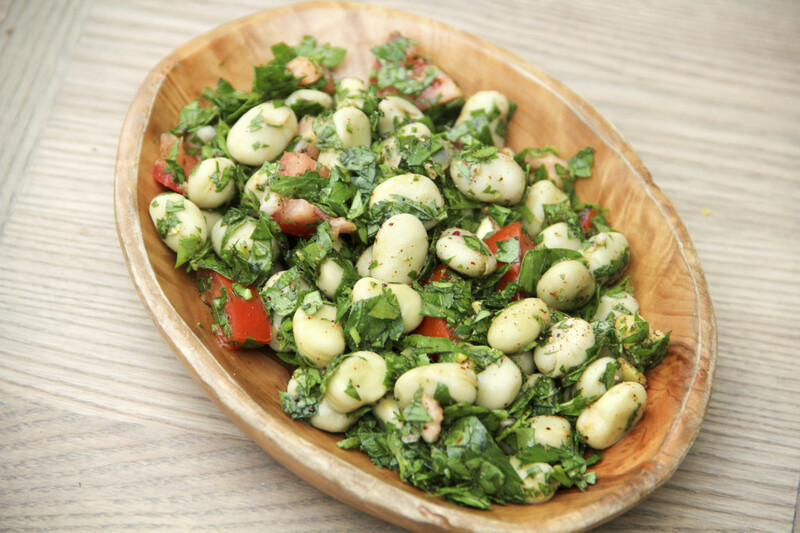 The mild flavor and pleasant non-mealy texture mean the fava bean is perfect for swapping into almost any of your favorite bean recipes – salads, stews, and soups all get a nice face-lift from bringing in a new bean. This Fava Bean Tabbouleh recipe replaces classic bulgur wheat with fava beans, and the result is a fresh, herbaceous side dish that is hearty enough to work as a meat-free main dish.